After recouping from last week’s presentation with multiple mugs of hot chocolate, food for fun is ready to hit the blogging circuit again. 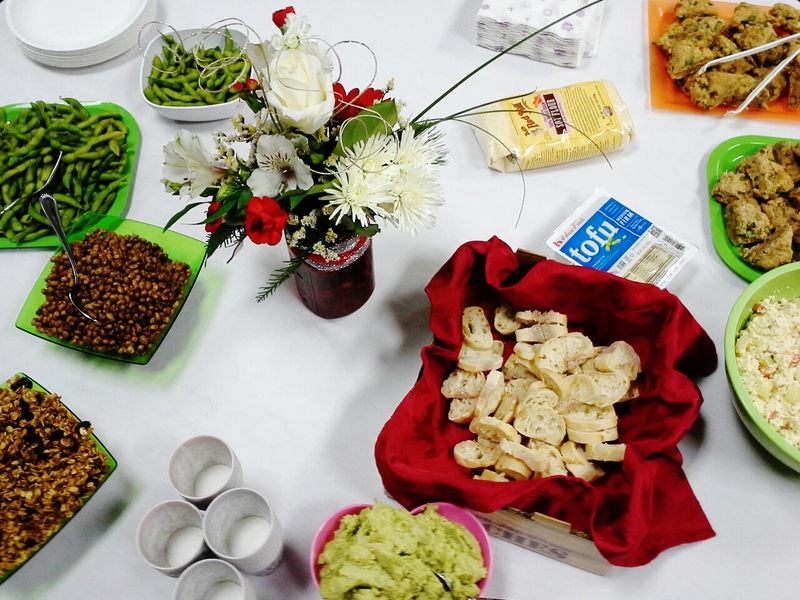 This week, I offer the six recipes featured last week when presenting a Snack Break at a client’s annual meeting. Minnesota Soybean has been a long-time partner and my work with them has taught me that soyfoods can be a fun tool in the kitchen. Why not include them in your ingredient palette when you’re thinking through meals, snacks, and even the sweet stuff? True, some people have allergies to soy and there have also been whispers of soy’s “dark side” in certain media circles. To those with allergies, skip right over these recipes, or try subbing in another type of nut, nut milk, green veg, or flour. And to those who believe soy has that dark side, I’d offer that moderate consumption of soy has yet to show negative effects in any study to date. On the plus side, it’s a strong source of plant protein and fiber and has been proven to reduce high cholesterol levels, possibly prevent against certain hormonal cancers, yadda yadda yadda. Shopping for and cooking up the snacks for the presentation was loads of fun–as a writer, it’s a treat to move around and create something tangible (and edible!) for a work project. An overestimate of attendees meant there were plenty of leftovers, which I wish I could serve up here. Instead, I’ll post photos and recipes and invite you to try a little soy. In medium pot, bring water to a boil. Remove pot from heat; add tea bags. Steep 2 to 3 minutes. Remove and discard tea bags. Return pot to medium heat. Bring tea to a gentle boil. 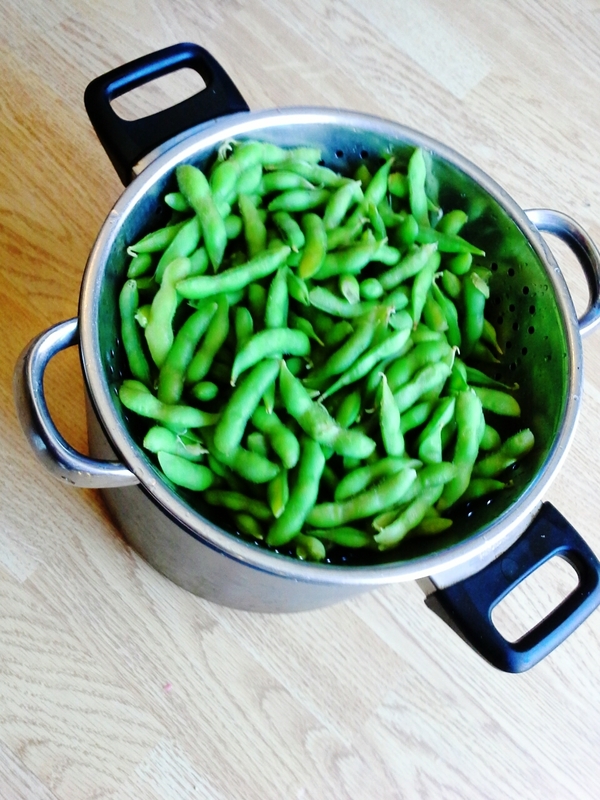 Add edamame. Cook about 7 minutes or until beans are cooked through; drain and discard tea. Sprinkle edamame with salt. Serve immediately. Makes 4 (generous 1-cup) servings. Heat oven to 500°F. In measuring cup, combine vinegar and soymilk; let stand 5 minutes. Meanwhile, in large bowl, whisk together flours, baking powder, baking soda, and salt. 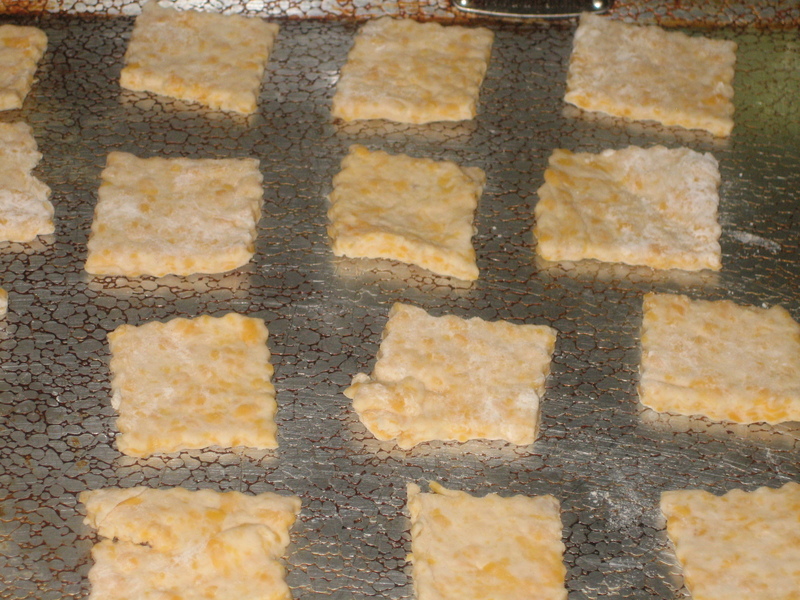 With pastry blender or two knives, cut in butter until mixture resembles bread crumbs. Stir in soured soymilk until dough forms. Stir in onions and pepper. Turn dough out onto well-floured surface; knead dough gently 8 to 10 times, sprinkling with flour as needed. Pat dough into 8-inch circle, about 3/4 inch thick. Cut circle into 8 pie-shape wedges, pressing down with knife without sawing. Sprinkle baking sheet with flour. 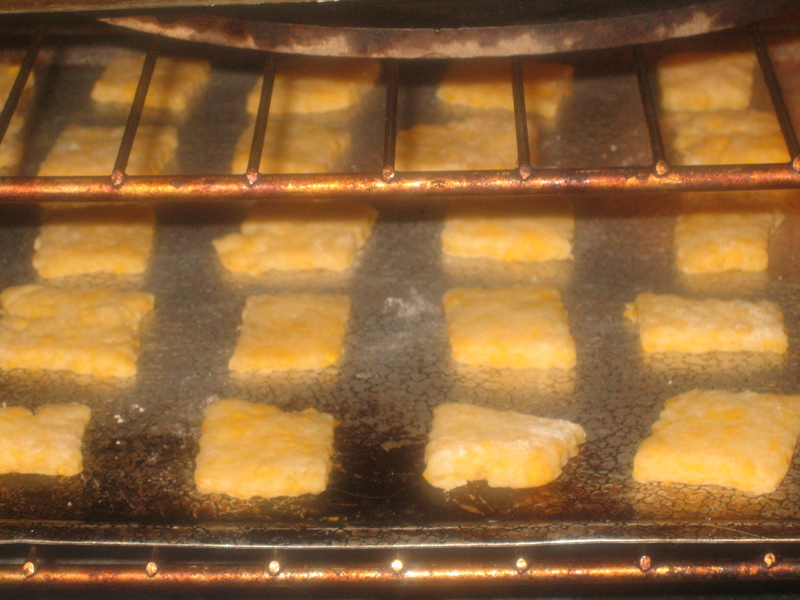 Gently transfer wedges to baking sheet. Reduce oven to 450°F. Bake scones 20 minutes or just until golden. 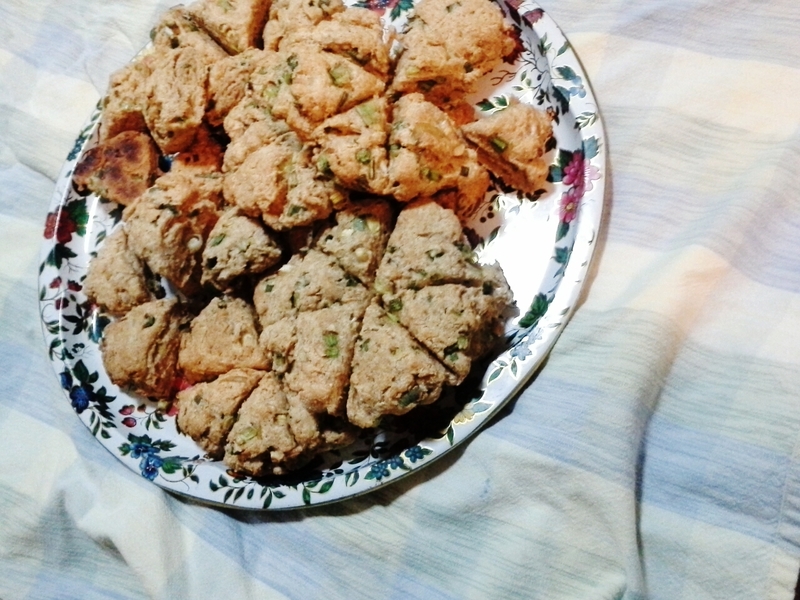 Makes 8 scones. In medium bowl, whisk together yogurt, mayonnaise, mustard, and chives until smooth. Add remaining ingredients; stir gently to coat. Adjust seasoning to taste. Makes 4 cups. 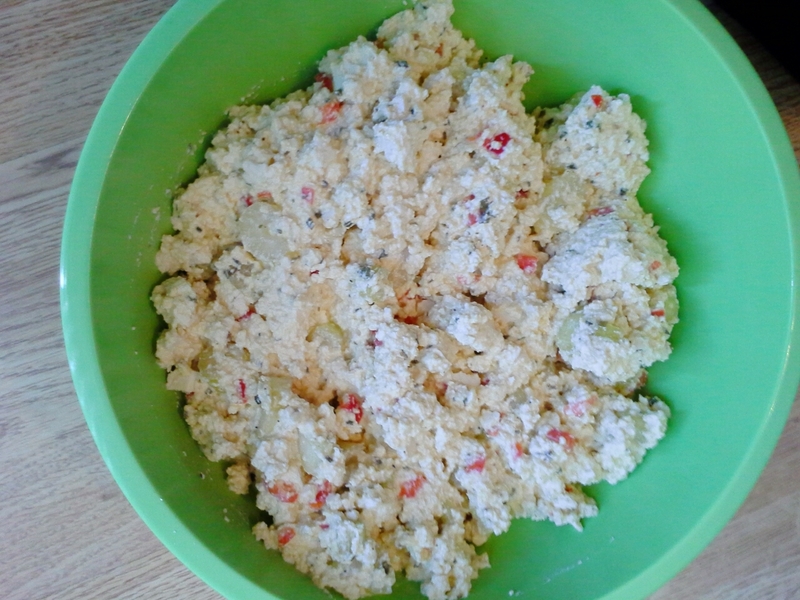 In food processor, combine all ingredients; cover. Process until blended, but still slightly chunky. Adjust seasoning as desired. Makes about 1 1/3 cups. Love pumpkin? Go ahead and double the pumpkin puree. Heat oven to 325ºF. Line baking sheet with parchment paper. In large bowl, toss together oats, brown sugar, cinnamon, allspice, nutmeg, ginger, cloves, and salt. In small bowl, stir together maple syrup, pumpkin puree, applesauce, and vanilla. Stir into oat mixture until coated. 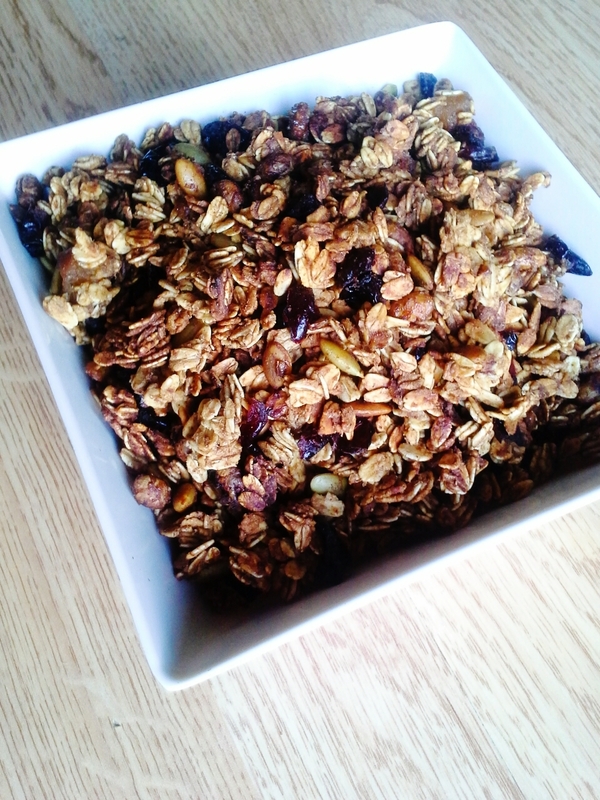 Stir in cranberries, soynuts, and pumpkin seeds. Spread mixture evenly on baking sheet. Bake, stirring every 10 to 15 minutes, 45 minutes or until golden brown. Cool before storing in covered container. Makes 5 cups. Heat oven to 300°F. Coat baking sheet with cooking spray. In medium bowl, beat egg white just until frothy; beat in vanilla. 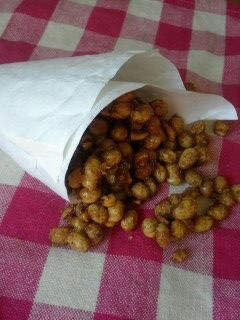 Fold in soynuts. Stir in brown and granulated sugars and cinnamon. 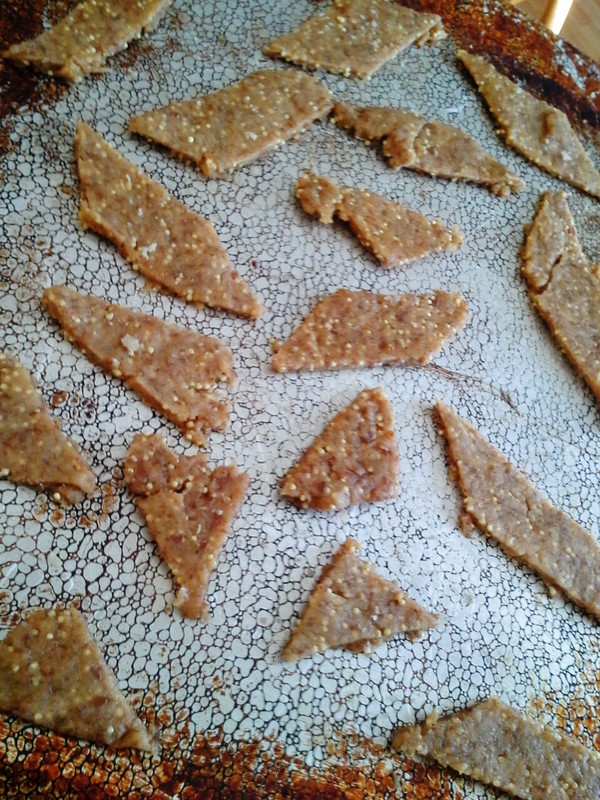 Spread soynuts evenly on baking sheet. Bake, stirring occasionally, 20 to 25 minutes or until just lightly browned. Cool slightly, breaking up any clumps before serving. Makes about 2 cups. tofu, edamame, soynuts, oh my! Food for fun’s last few posts have gotten a bit lengthy, so we’ll simplify this week with a simple story about a simple recipe. A recent Dash magazine photo knocked me out. 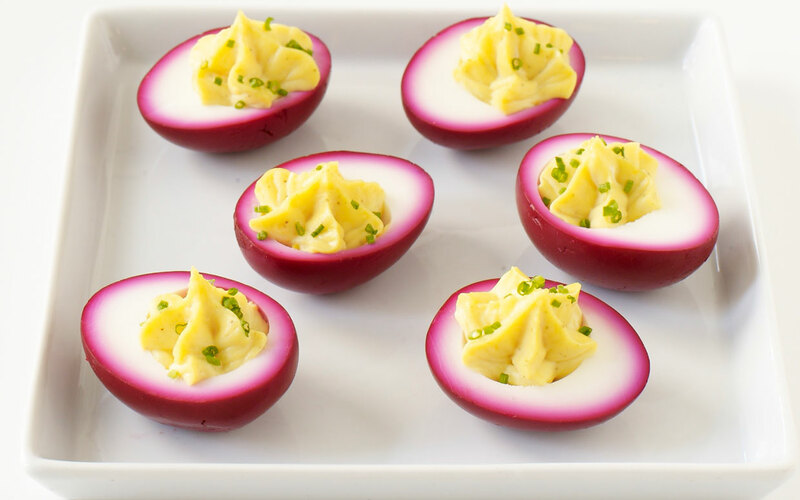 Beet Pickled Deviled Eggs. So. Pretty. Deviled eggs are high on my list of favorite foods; pickling intrigues me. A dislike of canned beets (remember this?) wasn’t enough to dissuade me from giving these deviled eggs a go. It’s not like I was going to consume the canned beets, right? They were there only to add pretty pink and a tinge of sweet. So, I set out to hard-cook a few eggs. My method? Foolproof and taken from the pros: Bring a covered saucepan of eggs and lots of water to a gentle boil. Turn off heat and let eggs sit 10 minutes. Drain and cool immediately under cold, running water. Works all the time. Except today when I forgot about the saucepan and let it sit longer than 10 minutes (doh!). This particular batch of hard-cooked eggs sported the dreaded greenish halo around an otherwise yellow yolk. Yet their color didn’t bother me as much as the rubbery whites. These babies were tougher than I’d have liked. Texture aside, I didn’t love these eggs as much as I’d hoped to. While they were still shockingly pink and pretty, that canned beet flavor was there. Using cooked fresh beets sounds lovely, but wouldn’t provide canning brine for the pickling. Perhaps it’s a recipe that would improve using home-canned beets? Another note: The eggs had white spots where they had rested against the bottom or side of the bowl. A larger bowl may have helped as would have the occasional stir. While I wouldn’t consider this as disastrous as my last round of canned beet cooking, I deem them better looking than they taste. 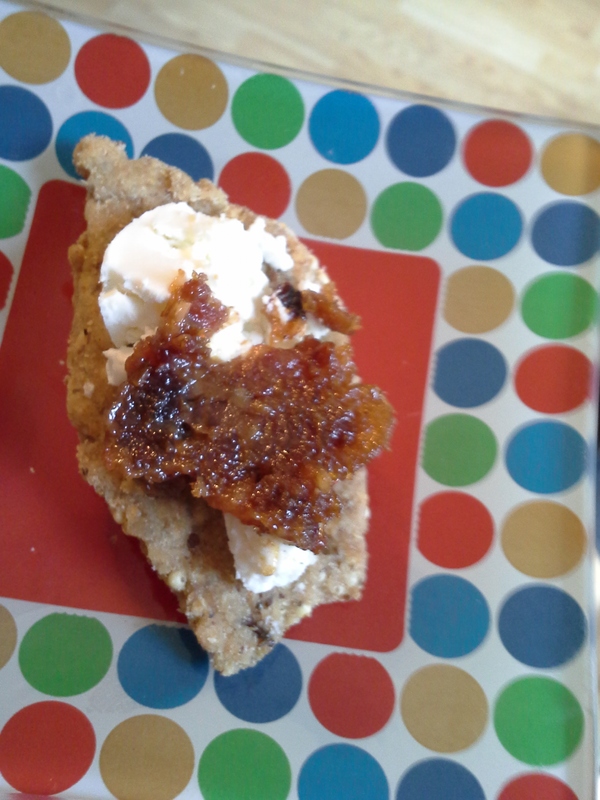 Proper cooking would have improved the texture, but there’s no getting around that tinny, canned beet flavor. That said, the filling was most definitely a win: yolks, a judicious amount of mayo, and sprinkling of celery salt, black pepper, and ground mustard. It’s now my go-to deviled egg filling as it has just the right amount of each ingredient. I made these up on a sunny day, so have no excuse for this sad little photo. By the time I noticed my pictures were too dark, it was too late. 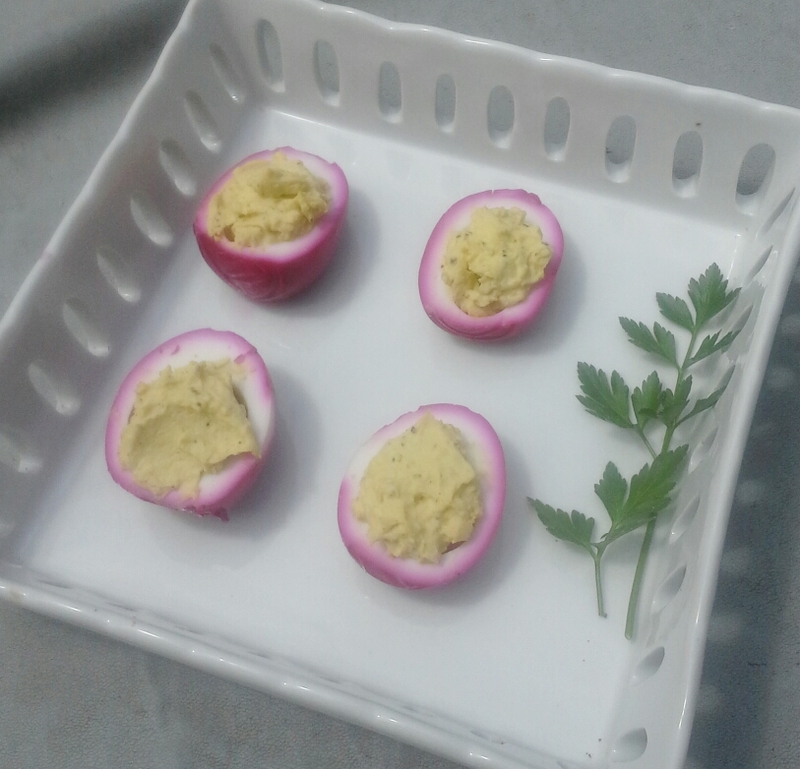 The four pink-tinged deviled eggs had become my lunch, making them far more edible than my last beet escapade. Doing It Yourself is all the rage these days. Reality TV is ripe with programming devoted to folks doing their own pretty much everything. I’m not a fan of reality TV and you’ll never catch me sewing my own clothes, making my own (or anyone else’s) jewelry, or refurbishing anything in my house. I’m just not crafty like that. But I have always been a fan of cooking and baking from scratch. Homemade bread? DIY. A batch of cookies? DIY. A pot of soup or broth? DIY. With the proliferation of do-it-yourselfers, the bar has been raised for what can be done in the kitchen. The food section of this week’s local paper headlined with a piece on grinding your own meat. I’ve also been seeing more about homemade butter (it’s as simple as overwhipping cream), yogurt, and cheese. And then there’s the wave of home brewers and wine makers. A new cookbook that speaks exactly to this point was also featured in a recent newspaper story. The Homemade Pantry: 101 Things You Can Stop Buying & Start Making by Alana Chernila got my attention. This is my kind of book. Make your own foods so 1) you know exactly what’s in them and 2) you aren’t spending hard-earned dollars on foods you can easily make yourself. 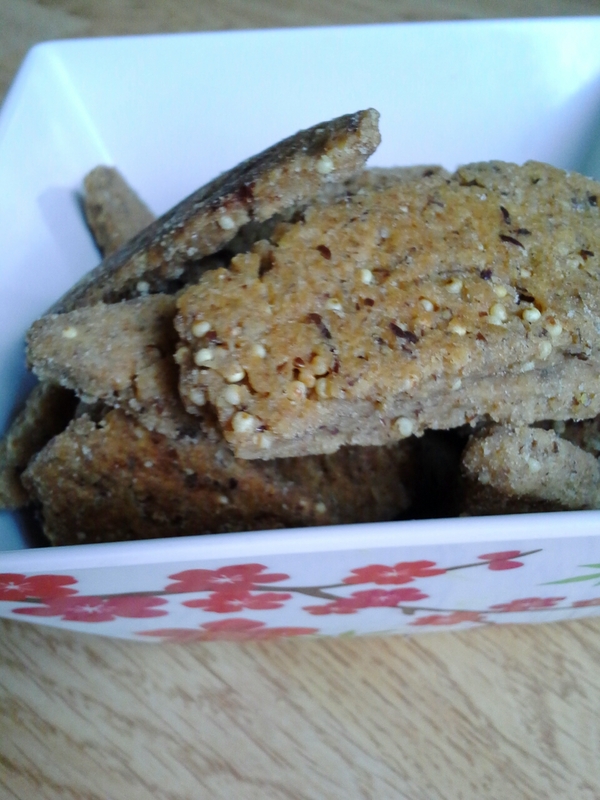 I made the recipe offered alongside the newspaper article as it mimicked one of my oldest daughter’s favorite snacks–cheese crackers. I buy them occasionally, but consider them little more than junk food. If I made my own (and they passed her taste test), I could offer her my version of Cheez-Its. They’d contain “real food” ingredients–no additives, preservatives, etc. Also, I’d be paying for ingredients, but not the manufacture, packaging, and marketing that goes into processed foods. 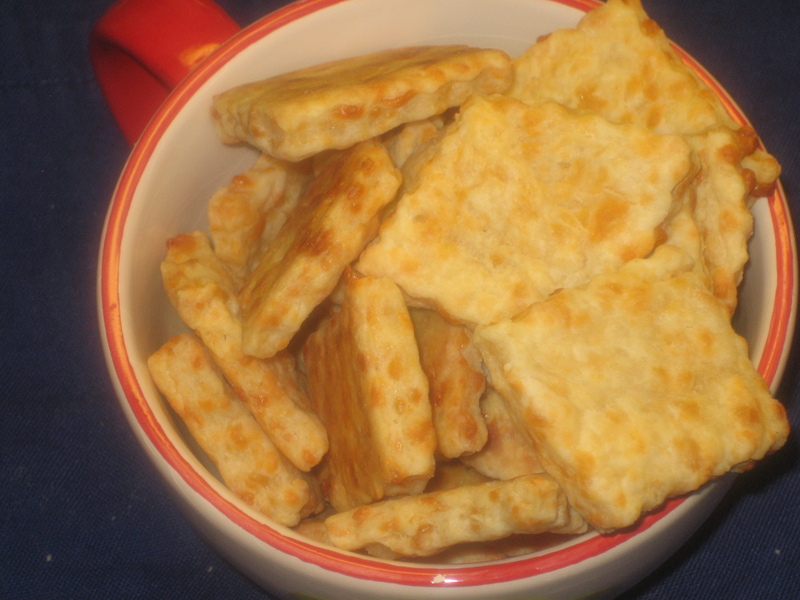 My Cheez-It fan and I whipped up these crackers tonight. The dough took only a few minutes to make and I froze it for only 10 minutes instead of refrigerating for 2 hours. It still rolled out perfectly. 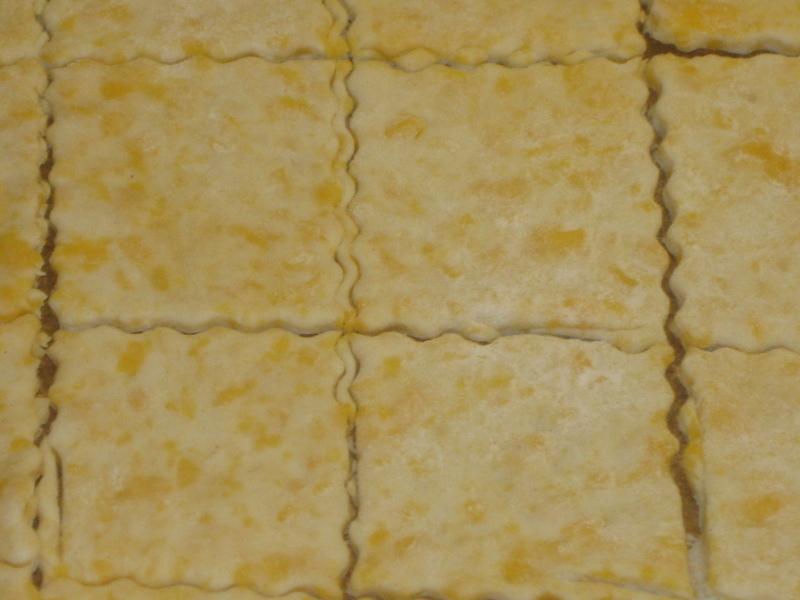 I cut the crackers with a crinkle-cutter, but a knife or biscuit cutter would have done just as well. 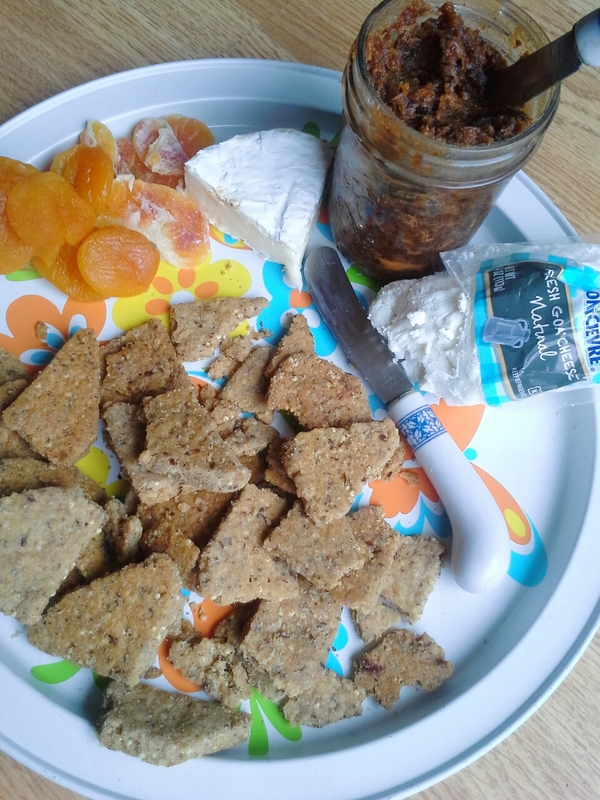 The dough baked up beautifully and the resulting crackers were pretty and tasty–salty, rich, savory, exploding with cheese flavor. I used the Cheddar called for in the recipe, but it’d be fun to change it up depending on your mood or your family’s preferences: mozzarella for pizza lovers, pepper-Jack for those who like it spicy, sharp Cheddar for an extra punch. A teaspoon of dried herbs would also add distinction. Though these crackers aren’t as crispy as what you find in that red box (might need to fry ’em up for that), my daughter gave them a rating of “good to great” which is high praise from her. I’ll probably buy the book as I’d love a collection of such recipes all in one place. The article mentioned homemade pop-tarts which sounds like a delicious project. Definitely a DIY I would Do. In mixing bowl, use paddle attachment to beat together butter, flour, mustard, and salt 30 seconds or just until crumbly. Add cheese; beat on low speed 30 seconds longer or just until mixed. Remove frozen dough to counter 15 minutes before baking.